Visit our well appointed conference room in Hayward within the Plaza Center at 22320 Foothill Boulevard. We are located in Suite 210. MEET HALF WAY in "Heart of the Bay" Hayward to accommodate clients and witnesses and to minimize travel time and expense. Centrally Located in the East Bay, Alameda County is within 70 miles from the counties of Contra Costa, San Joaquin, Solano, Santa Clara, Marin, San Francisco, San Mateo and Santa Cruz. We travel to any location in the Bay Area, we will come to your office, or we can meet you at the location you need us. 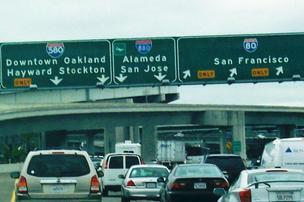 San Francisco, Oakland, San Jose and Hayward Executive are only minutes away and easy to get to from our office. Hayward and Castro Valley Stations just a mile away, easy access by local bus, taxi or rideshare service. Hayward Station is only a mile and a half from our door along the Capitol Corridor, two hours from our State Capitol in Sacramento. From the Central Valley and Stockton, we are only an hour away. Close to Contra Costa County Courthouse in Martinez, ride the train and work en route or just enjoy the scenery. We are minutes away from Richmond, Emeryville and Jack London Square Oakland stations. Take the Bay Bridge to Interstate Highway 580 East, take Hayward Exit 34 which becomes Foothill Boulevard. Go through three stoplights, turn left at light for City Center, then left into parking lot. 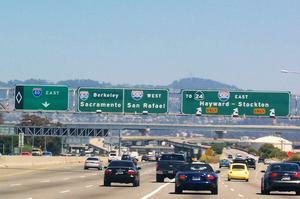 Take Interstate Highway 580 East, exit at Hayward Exit 34 which becomes Foothill Boulevard. Go through three stoplights, turn left at light on City Center, left into parking lot. Or take Interstate Highway 880 South, then take Highway 238 East, exit at Hayward Exit 34, go through three stoplights, turn left at light for City Center, then left into parking lot. Take Interstate Highway 101 or 280 to Interstate 92 and head east over San Mateo Bridge. 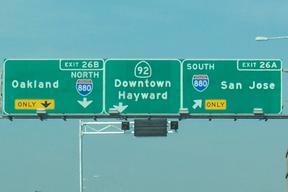 Arrive in Hayward and take Interstate 880 North Exit 26B to Interstate 238 East Exit 31A. 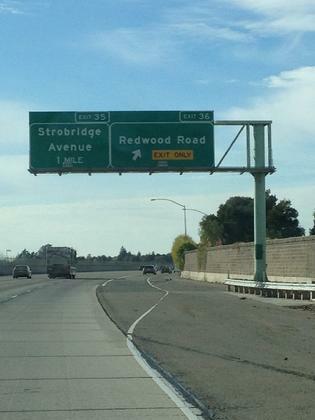 Take Hayward Exit 34 which becomes Foothill Boulevard. Go through three stop lights, turn left at light for City Center, then left into parking lot. Take Interstate Highway 880 North to Highway 238 East Exit 31A. Then take Hayward Exit 34 which becomes Foothill Boulevard. Go through three stop lights, turn left at light for City Center, then left into parking lot. Take Interstate Highway 580 West to Castro Valley and take Redwood Road Exit 36A. Go left and under freeway. After three lights Redwood becomes A Street. Continue through one light at Rockaway. Turn right at light for Second Street and straight into parking lot.